It is important for accident victims to understand that the insurance company is a business whose model depends on limiting payouts for insurance claims. Without a lawyer, you are at a disadvantage from the beginning of the insurance claim process. When filing a claim, you need a lawyer who will give you the legal advantage necessary to obtain a fair settlement offer and the compensation you deserve. 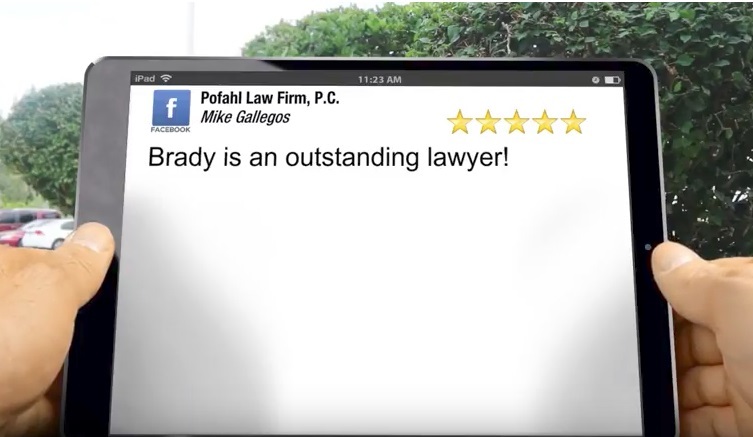 The best lawyer for your dispute will be a lawyer who has the experience needed to advocate for you after an accident. As a former insurance lawyer, I have spent time representing insurance companies. Simply put, I know how the other side thinks from a legal perspective. I put this knowledge to work for your case, countering their legal efforts with sound legal strategies based on New Mexico law that helps my clients receive the compensation needed after serious accident injuries. I am proud to say that I graduated from UNM School of Law and that my work as a personal injury lawyer has led to 5-star client reviews that recommend me as a top personal injury attorney in Albuquerque. Never accept a settlement offer without first contacting me to analyze your case and give you information in a no-pressure environment. I will ensure you get a fair offer, not a low-ball offer that is only to the benefit of the insurance company. Clients who reach out to me receive important peace of mind knowing that key legal mistakes will be avoided. The claim documentation process, particularly, is a complex process to navigate without the help of a lawyer. I will make sure you understand the process and legal options while ensuring no mistakes are made in the documentation process. If you have a strong legal case and the insurance company refuses to provide a fair settlement offer, reach out to me right away. I will make sure you get the fair offer you deserve. The vast majority of cases can be resolved without needing to go to court, but I will protect your right to compensation in court and at trial if and when it is necessary. Contact me to begin the process of resolving your dispute with the insurance company today.